Well good morning Paper Peeps. 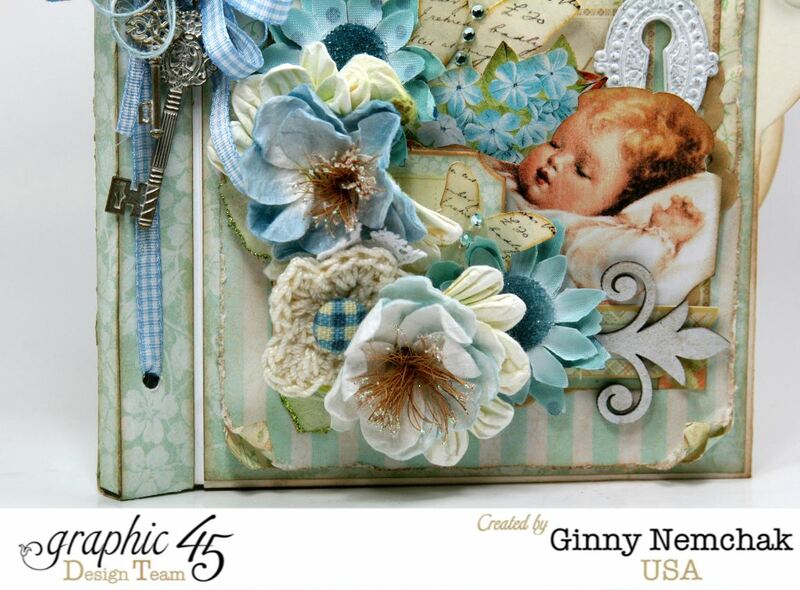 This is a great morning for me because I get to share a very special Mini Album I created with Graphic 45’s Precious Memories and the re-release of the Baby 2 Bride Deluxe eddition. 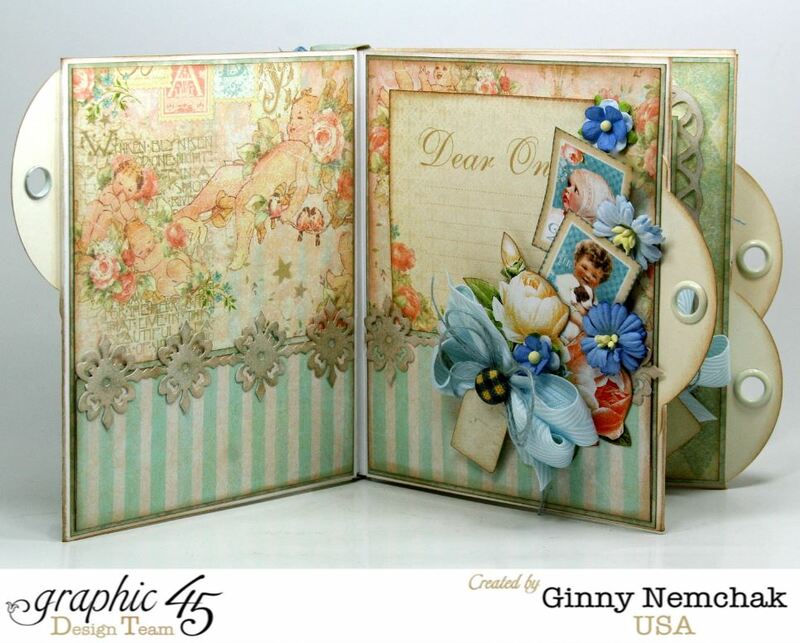 This album is so full of pretty patterned papers, Staples, flowers and trims. It doesn’t actually close because I just couldn’t stop…that’s okay..it’ll look really pretty sitting on the shelf in the nursery of the new baby who is getting this album. 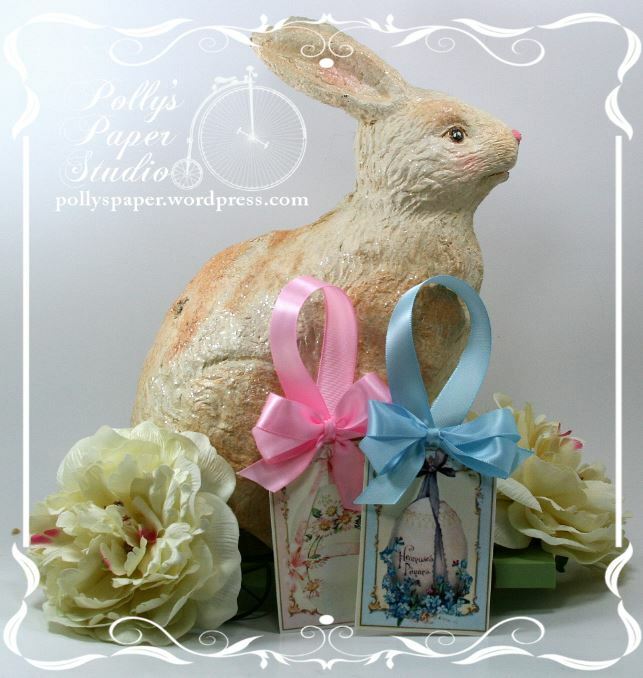 It already has a home….yay! Isn’t that little sleeping baby so cute? 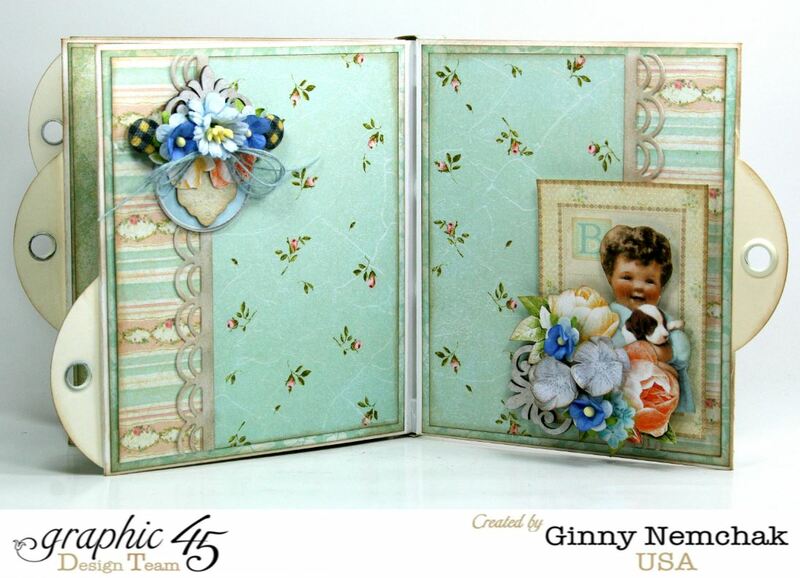 This turned out to be a great pattern mash up with the two lines….the soft colors and delicate patterns from Baby 2 Bride really work to set the stage for the more vivid images from Precious Memories. 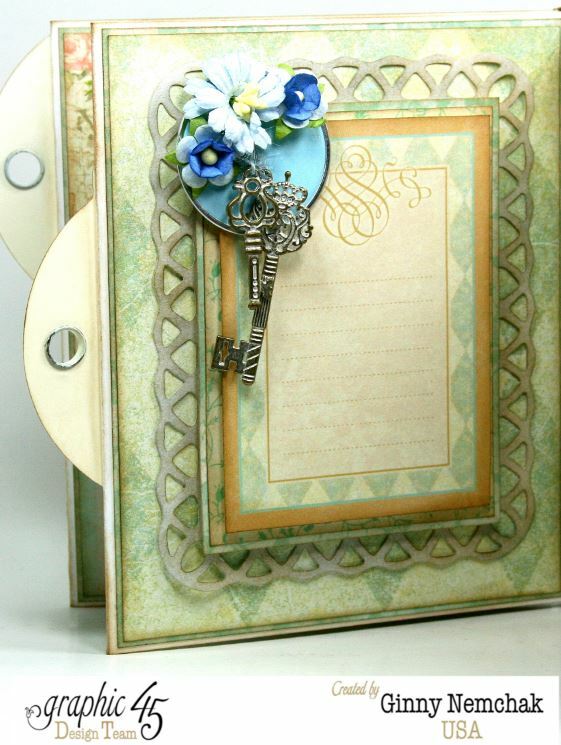 I’ve layered in some chipboard, butterflies, and painted Metal Ornate Keyhole. 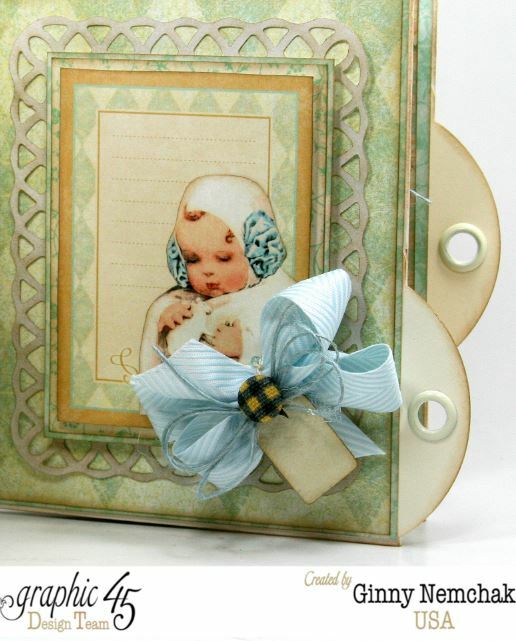 The binding has Ornate Metal Keys, a vintagy button , Blue Micro Plaid, and Light Blue Burlap String from Really Reasonable Ribbon. 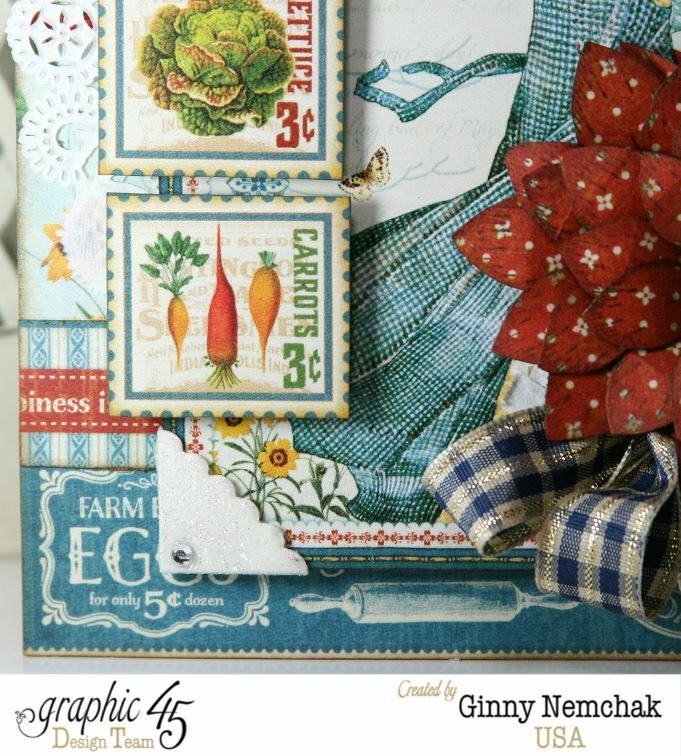 I used my Tonic edger to get that great tattered edge. 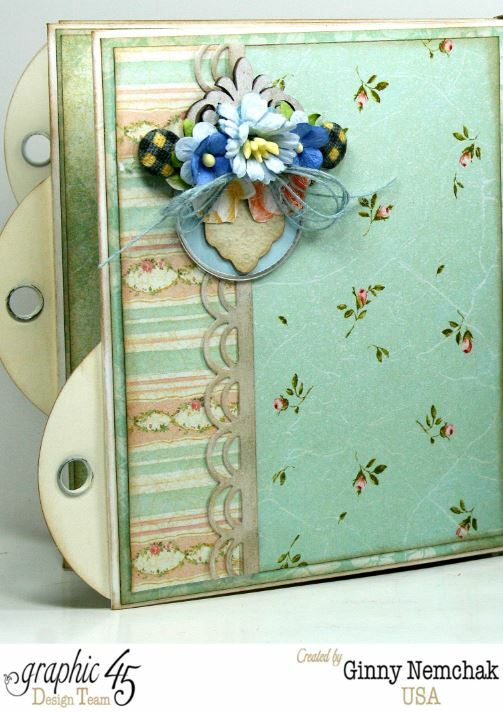 I’ve also added tags from the Ivory Tag Album to the ends of the pages to make them easier to turn. I combined paper and fabric flowers with hand crocheted flowers with a sweet plaid topped brad. 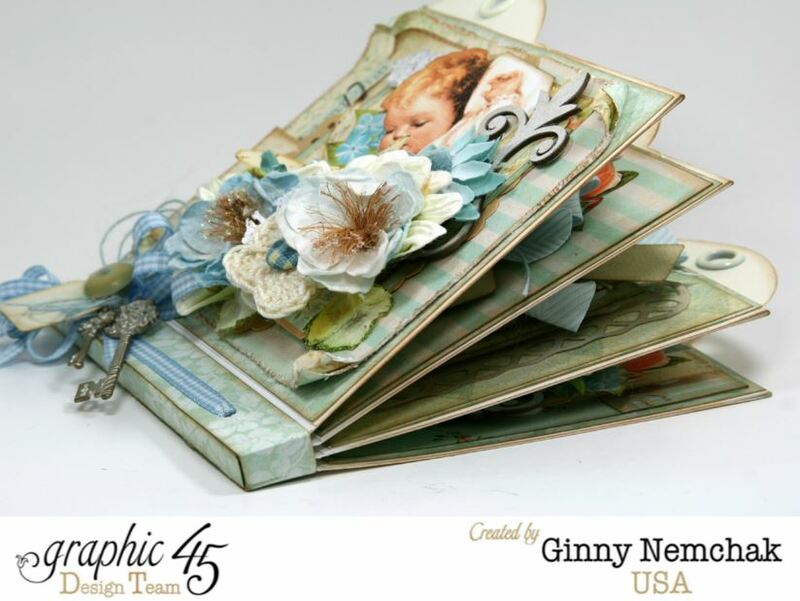 I kept the embellishments going all though the book and added delicate die cuts for accent. 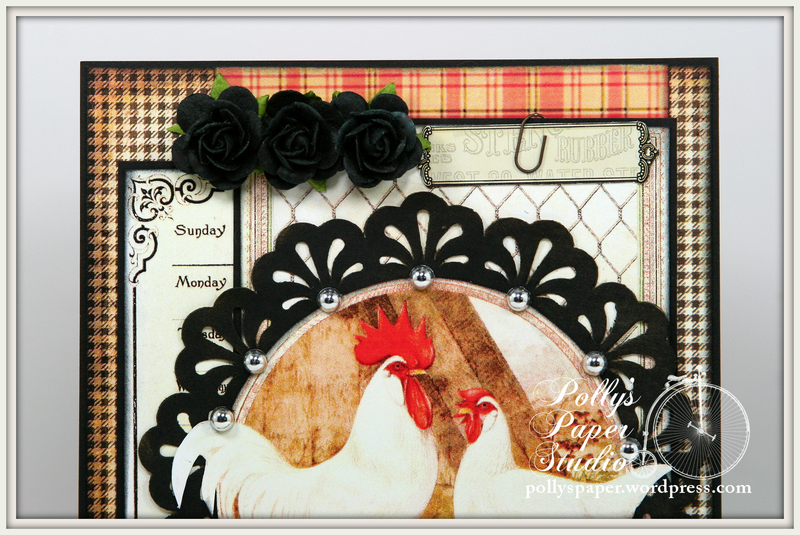 I created frames for this set of pages with die cuts and foam spacers. 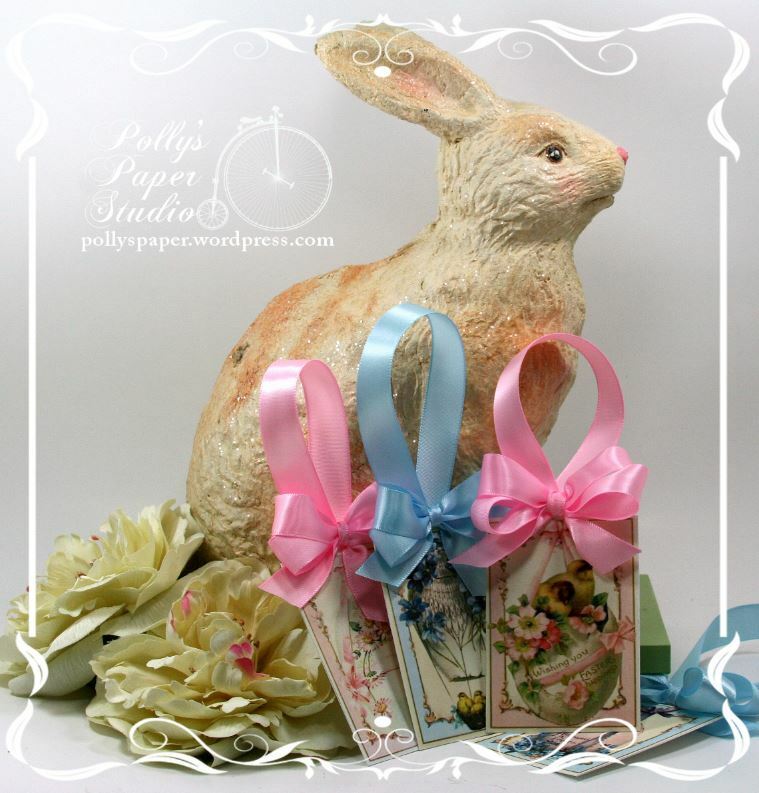 These blooms are Mulberry Flowers and the ribbon is Light Blue Chevron Striped Twill. 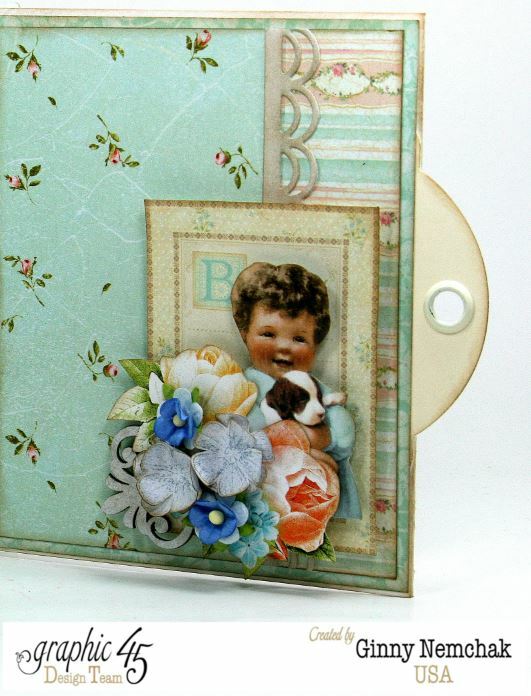 I fussy cut the flowers for this page and layered them between sweetheart blooms and stamped and stacked flowers. More of those sweet little plaid brads too! 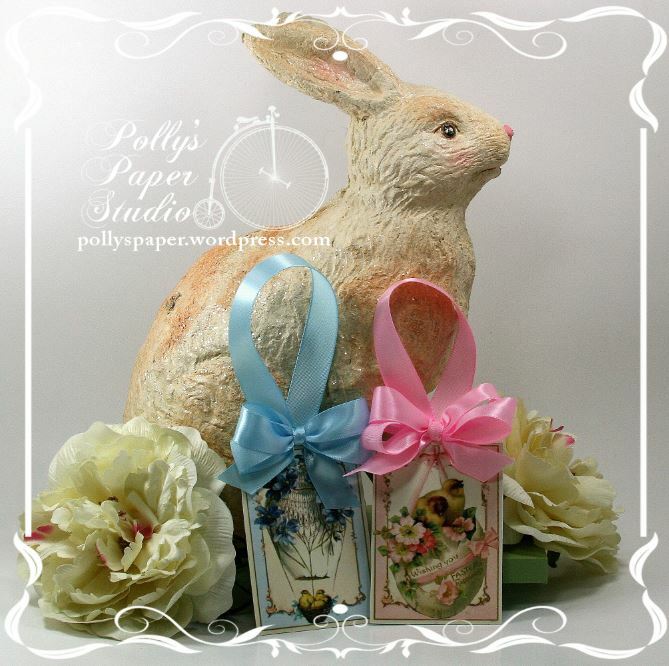 I whipped these up in no time with poofy satin bows and images from my Eggstraviganza Easter Egg Tag Collage. I printed them and cut them out..then added a layer of 110 lb cardstock to the back so they’re super sturdy and will hold their shape without curling. And best of all….straight line cutting..how easy is that? 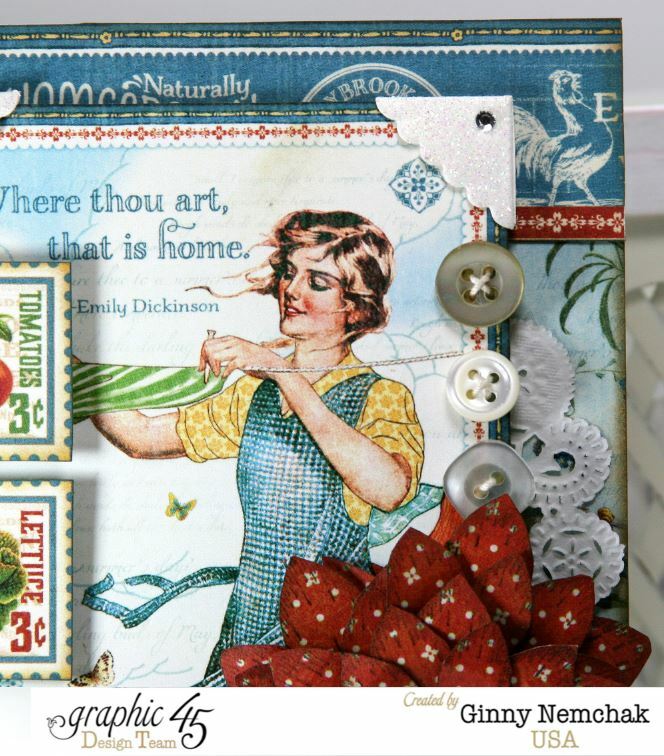 These are just a few of the projects I was able to create with paper and images from the kit and some bits and pieces from my scrap and salvage box. 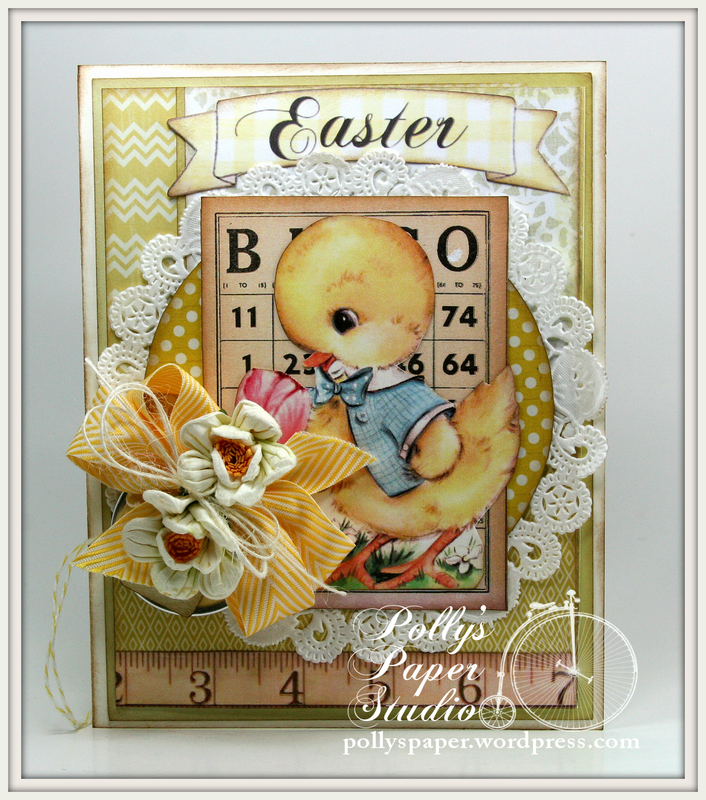 Hop on over and check out all the fabulous paper pretties in the Retro Easter Creativity Kit 2015. Good Morning Peeps! 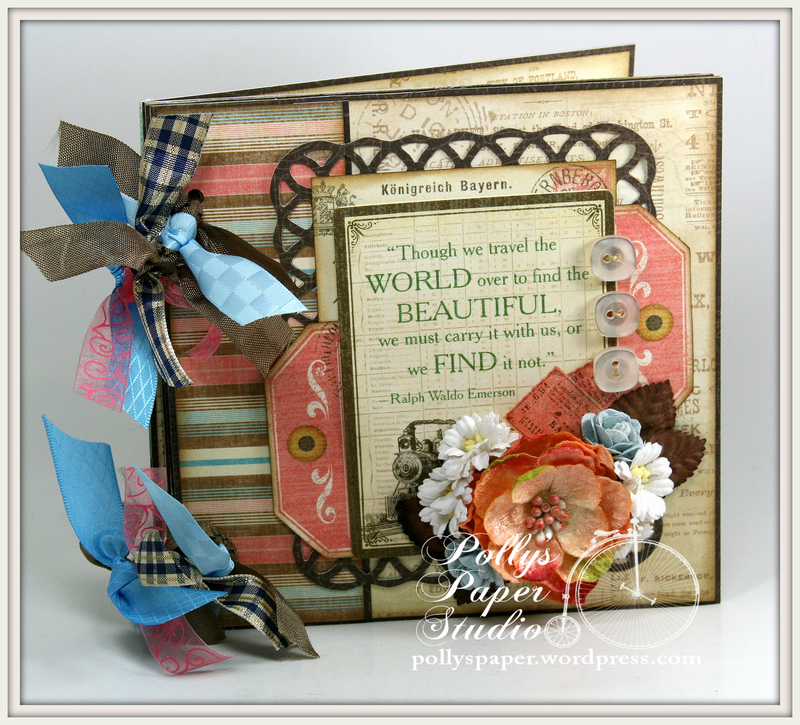 It’s my turn to share on the Really Reasonable Ribbon Blog today and I created a fun vintagy Travel Journal Mini. 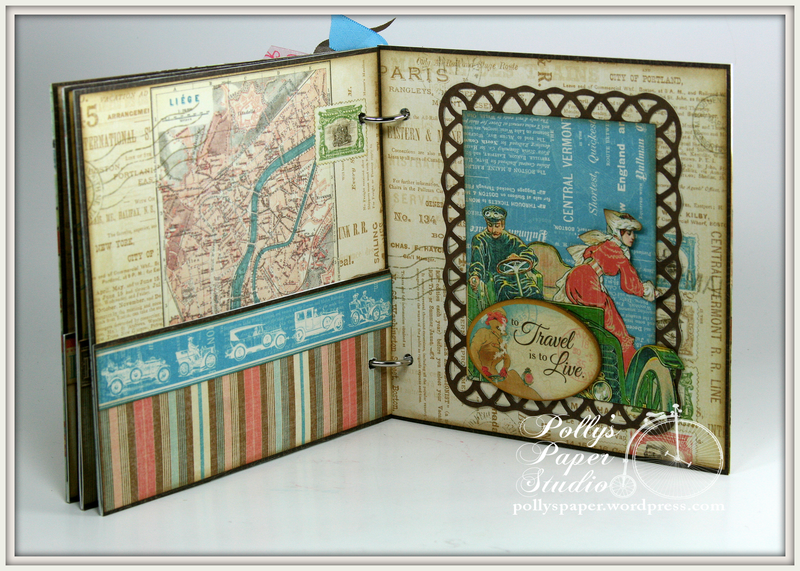 I am the worst for keeping track of dates and details when we travel….so my new plan is to create the journal first and take it with me : ) I’m starting with this one….created with beautiful trims from RRR and patterned papers from Graphic 45. 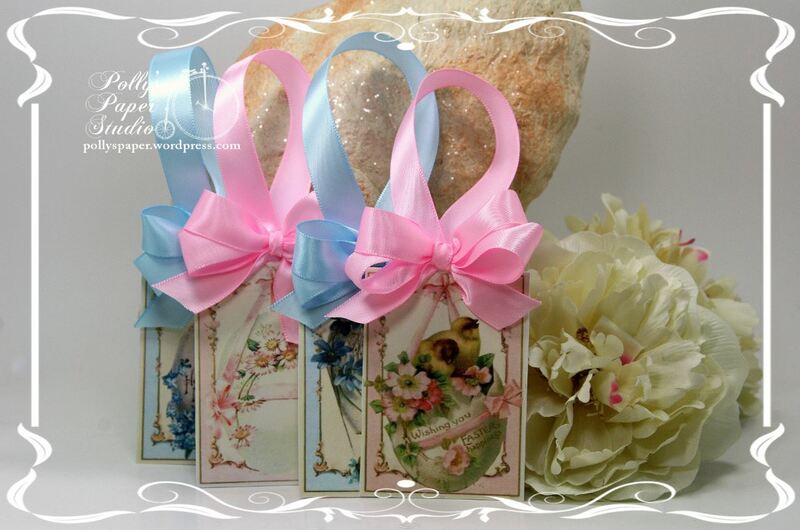 I used Light Blue Checkerboard Satin, Capri Blue Diamond Satin, Blue/Gold/Ivory Plaid Ribbon, Brown Wrinkle Ribbon, and Pink Lemonade Swirls Organza for the rings and Baby Blue Roses and White Cosmos for the cover. 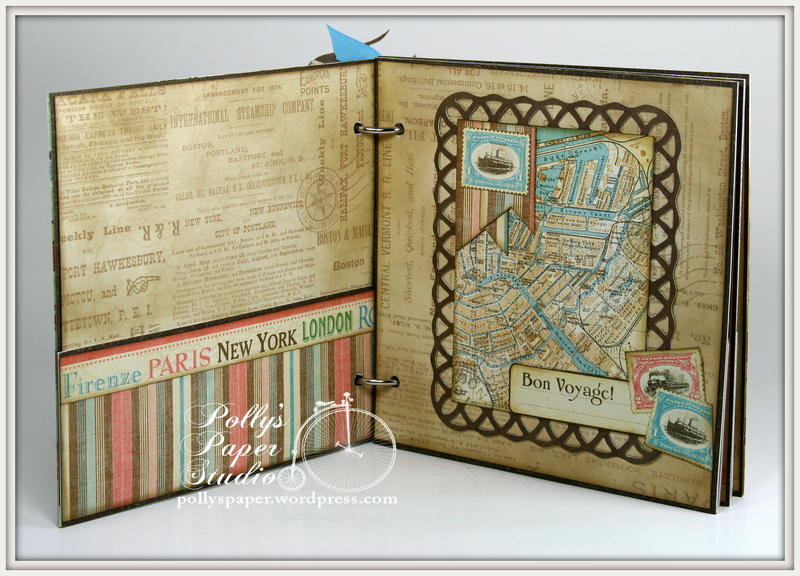 The patterned papers are Come Away With Me from Graphic 45~Come Away With Me~Wanderlust~Globetrotter~Pleasure Trip~Travel Odyssey~Vintage Voyage~Look Out World. 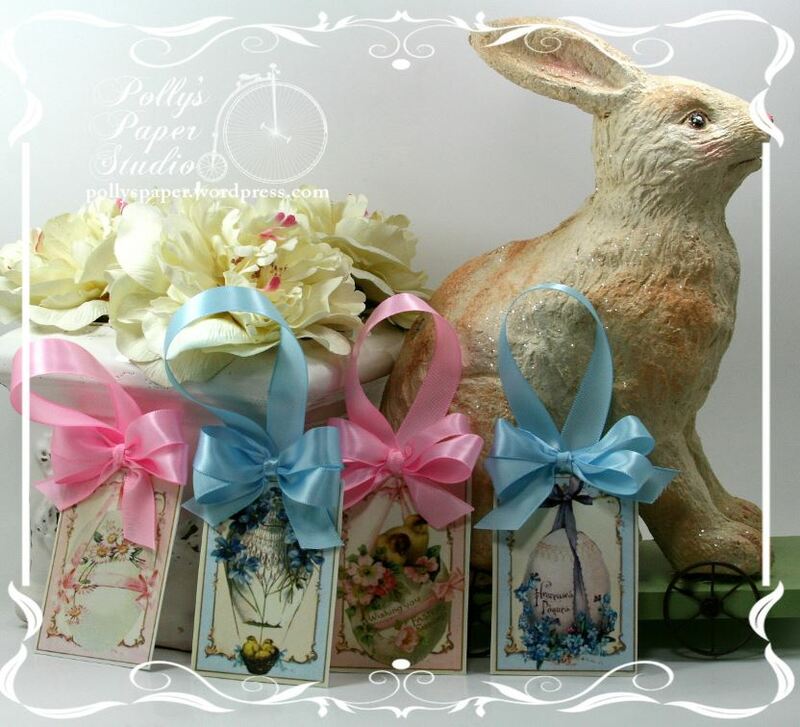 The fabulous frames were cut with Spellbinders dies. 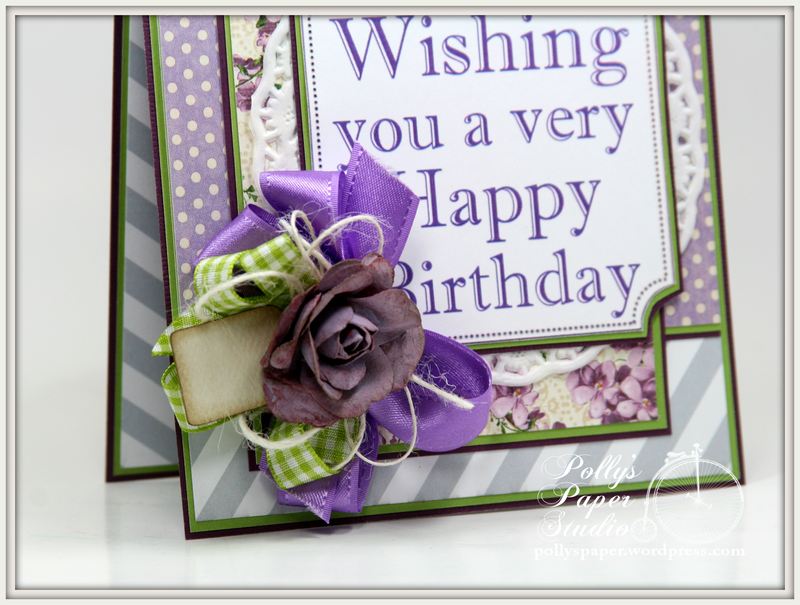 Hey there Peeps…I’m excited to share that we are starting a new challenge at Really Reasonable Ribbon this morning…It’s a Purple and Green With Ribbon Challenge! 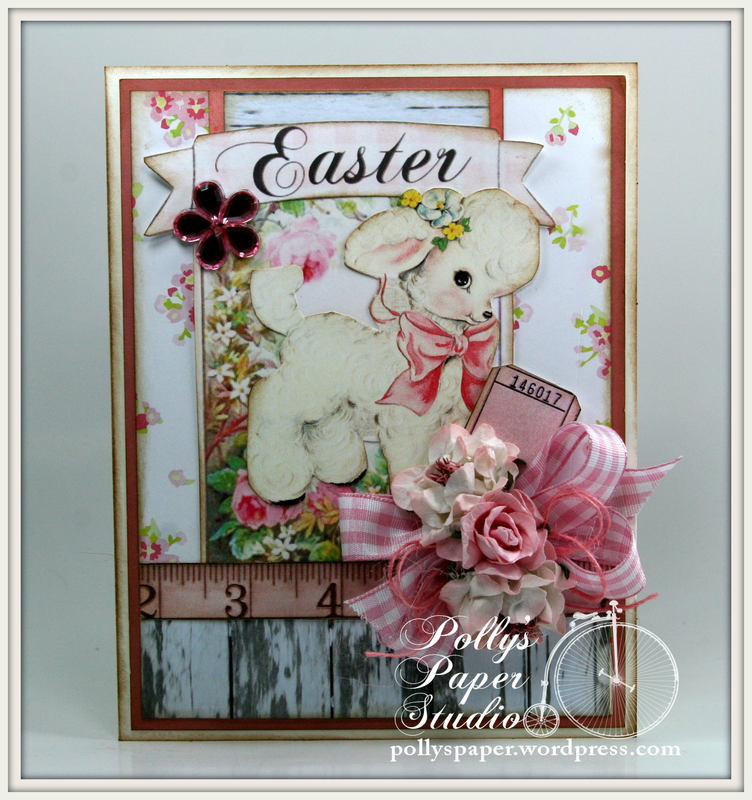 And if you’re anything like me….you are so ready for brighter colors to warm you up! 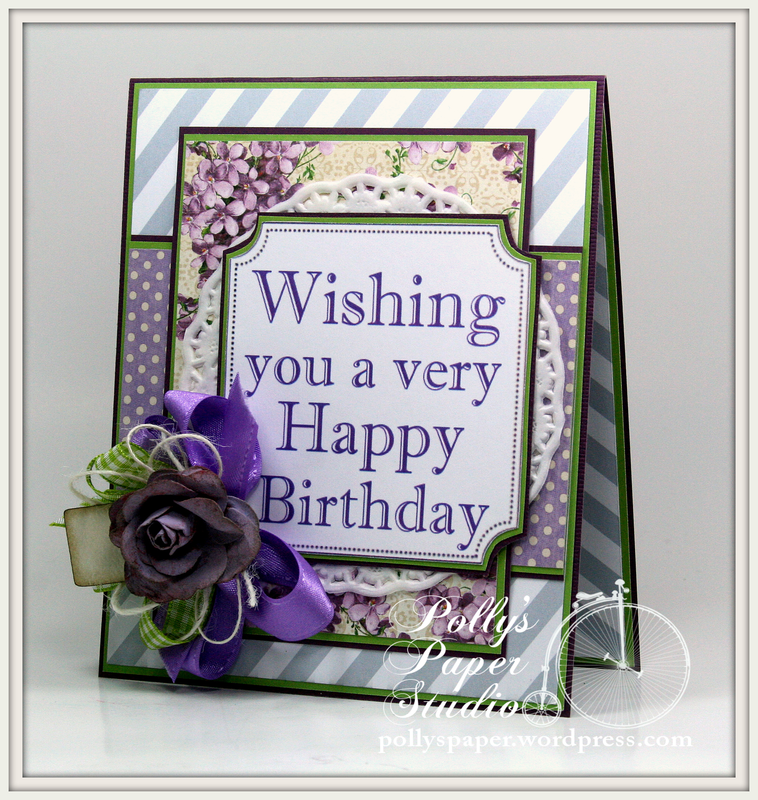 I used beautiful trims from the Monthly Ribbon Club Assortment and created a big ol Birthday sentiment digi. 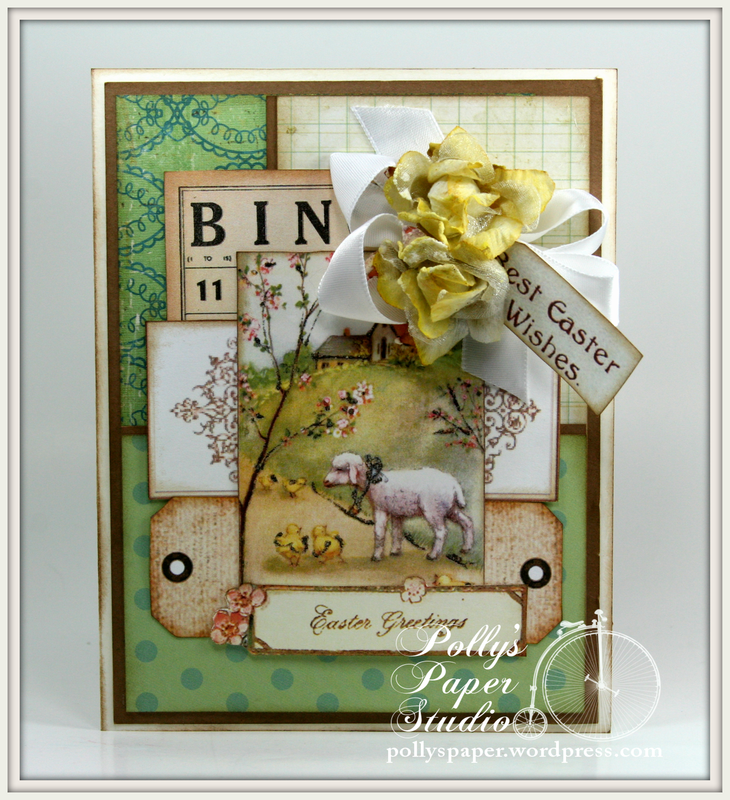 Okay now it’s your turn to get your craft on and create a fabulous Purple and Green with ribbon project and link up with us to play along. Well hello there Peeps. 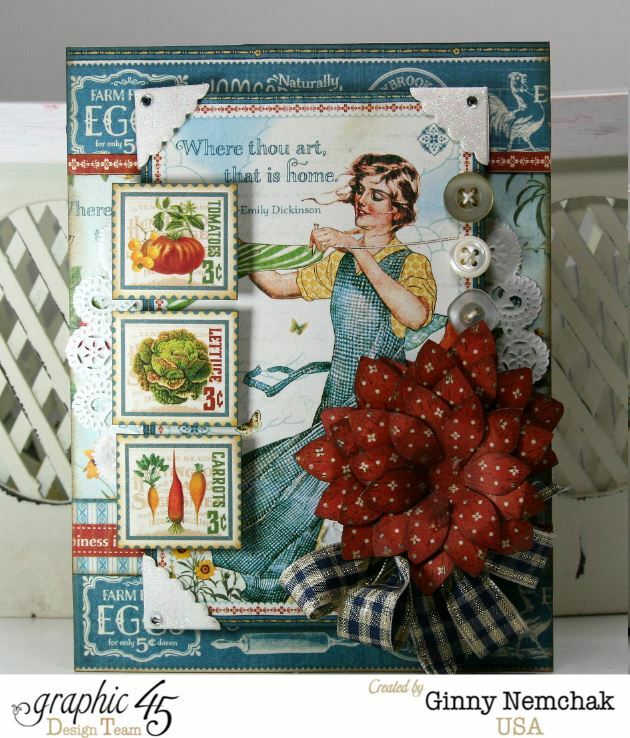 It’s another snow day for the kiddos here…I mean cold day….we are having a windchill of -35 this morning so the kiddo are all still home snug in bed : ) Perfect time to enjoy a little quiet computer time and share a card I created with a French Country theme for Crafty Secrets. 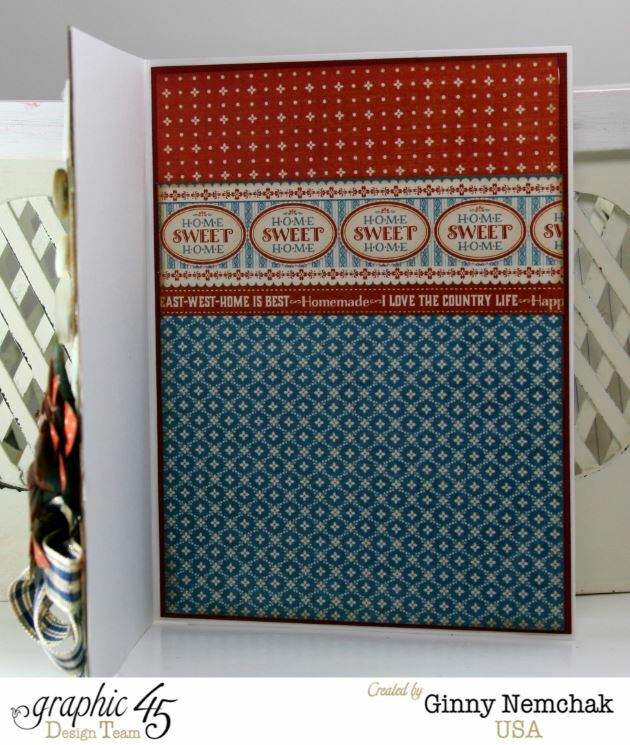 I used paper patterns from the Typography , Vintage Christmas, and Halloween CD’s, and Office Altered Heartwarming Vintage Stickers. 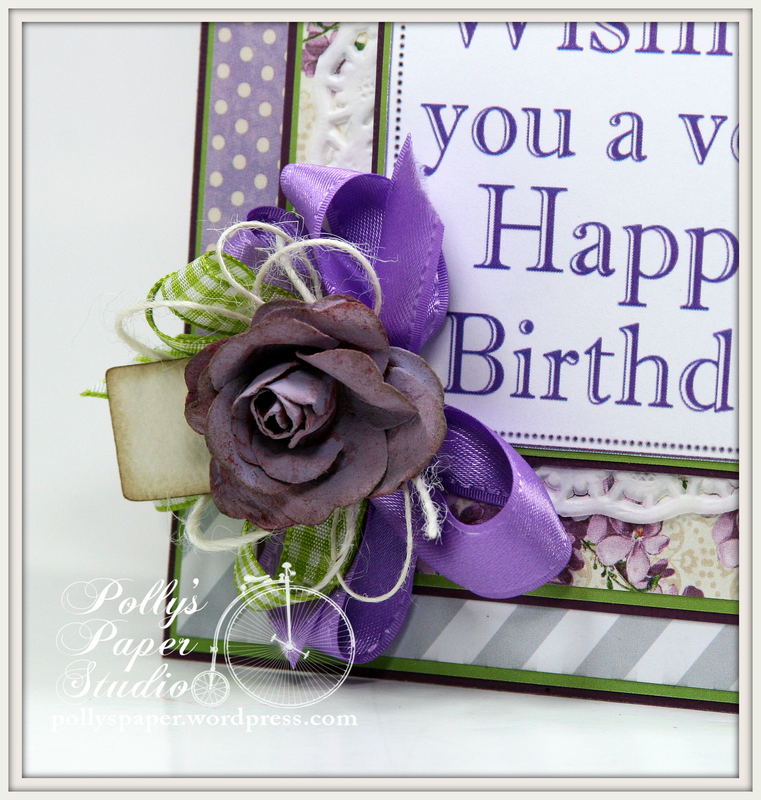 I added some beautiful Black Plaid Trim and Black Mulberry Roses from Really Reasonable Ribbon, and friendship sentiment from Words From the Heart Booklet.